This beautiful Blush Baby Blush collection by Aussie designer Stefan Arifin features beautiful paint strokes and foil sprinkle and would be great for those planning a pink and gold baby shower colour palette. 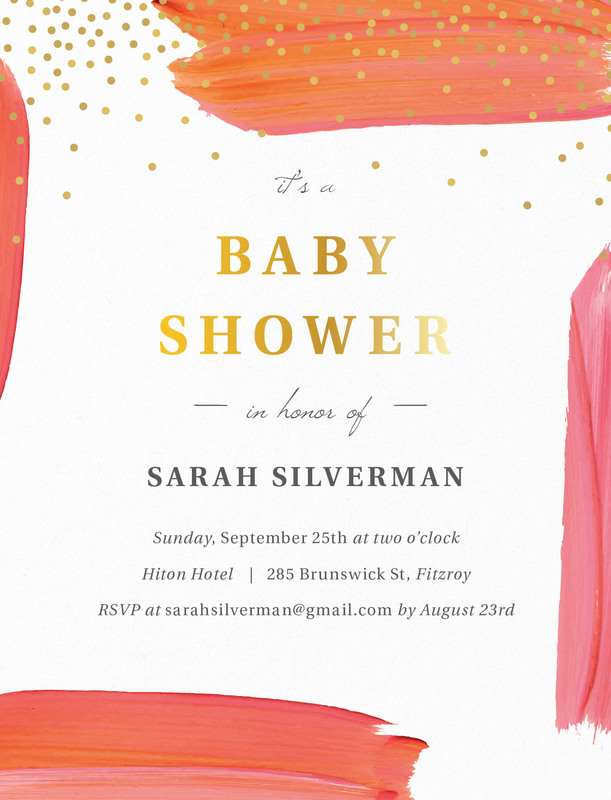 These invites are perfect whether you've got your girls showering you before the birth, or whether you're having a shower with baby in tow. They can also work as baby sprinkle invites if you're planning a 'sprinkle' (common for second or third children, when you've already got plenty of baby things). These classy baby shower invitations from the greater collection looks stunning when printed using Metallic technique and we think it looks best on Paperlust Matte.